Congratulaions on your goals for pursuing higher education. 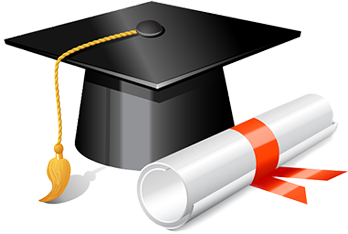 OSIAffiliate.com wants to support all students and help them reach their goals and we have created the OSIAffiliate.com scholarship. This scholarship will be awarded every year. The deadline to apply for next year is March 1st 2015. - We will be awarding four scholarships ranging from $250 to $750. Two scholarships will be awarded to high school seniors and two will be awarded to university students (graduate students and undergraduate students are judged in the same category). - To qualify, you must be enrolled in a US university or high school, you must meet our GPA minimum of 3.5, and you must write an essay responding to the prompt below and submit it online by March 1, 2015. - The winners of this year's scholarships will be announced on April 1, 2015, and their entries will be posted on our blog. Do you believe that space exploration is the key to saving humanity? Convince us of your belief. - All scholarship writing submissions must be received by noon (US Eastern time) on March 1, 2015. Late submissions will not be accepted. - Your response to this year's writing prompt (see above) must be between 750 and 2,000 words (including your MLA Works Cited page). Please make sure you respect the minimum and maximum word counts. Our panel of educators will judge your writing's clarity, grammar, organization, and creativity. Good luck!